Help by becoming a foster home! We are still in dire need of foster homes for our incoming hounds. Foster homes are the bridge that leads to a forever home for our adoptable hounds, giving them a head start on getting accustomed to living in a home instead of a kennel, teaching them all the new and wonderful things they will encounter in a home that they may never have seen before. If you are ready to give fostering a try, please send an email to mickynielsen@att.net. One of our foster coordinators will contact you to talk about fostering and how you might be able to help, what your obstacles might be and how we might overcome them together. We all want this to be a successful experience for you and your new foster! After one year she is still sitting in the kennel and looking for her forever home and family! We need your help in two ways. Obviously the first is to become her forever home and family. The second is to assist us financially until she finds her forever home. She is currently being boarded and as I am sure you are aware, this is not cheap. She also eats approximately 6 cans of canned food a day. Approximately one year ago we took in a beautiful two-year old brindle girl named Erin. She is now three-years old and has been in GU's care and waiting for over a year for a very Special Home that will take care of her with her medical condition known as megaesophagus. She is petite with big brown eyes that can steal your heart. She is loving, outgoing, and loves her walks and playing with toys. She is active and playful. To date she is still in the kennel ... She really deserves that place to call home and a family that can take care of her. Erin has a condition called megaesophagus. In the past, such a diagnosis was usually a death sentence. Severe cases make it impossible for a dog to hold down food and water. A healthy esophagus is a muscular tube that pushes what is swallowed into the stomach. A megaesophagus is like a deflated balloon. It collects food and water until it can take no more, at which point the dog regurgitates all that she has just swallowed. The goal of food management with megaesophagus is to get food out of the esophagus and into the stomach as quickly as possible. Because of Erin's condition, she needs to eat in an elevated position to increase the angle of her esophagus. She has a "Bailey Chair" that allows her to sit upright while eating. She knows the routine and eats her food enthusiastically in this manner. After she eats, her head must be held upright for about ten minutes to prevent vomiting. Erin is very cooperative throughout the entire procedure. Also, she should not have access to food outside of monitored feeding times. If you would like to consider adopting or fostering Erin, please contact mickynielsen@att.net or info@greyhoundsunlimited.org. Memorial Page: Express yourself regarding the passing of a loved one, be it hound or human. These usually post within 7 days. In Honor Of: Honor someone's Anniversary, Birthday, Graduation, Appreciation, Addition to the Family and anything else you wish. You can request a complimentary email (optional) be sent to the recipient containing your message. These usually post within 7 days. If you would like to have a photo posted along with your message you can email one to guonlinestore@msn.com. Rainbow Bridge: You can list your animal companion accompanied by your name on the Rainbow Bridge page. This is of no cost to you but of course donations are always appreciated. Can’t Donate? Let others do it for you! Tom Thumb will donate 1% of the purchase price of groceries when you use your Tom Thumb Rewards card. All you have to do is go to the Tom Thumb Good Neighbor Program, fill out the form using our Charity #2743, take it to the customer service counter at your store. Greyhounds Unlimited is a non-profit, all-volunteer organization with no paid staff. Your support is always needed and greytly appreciated, especially by the hounds. 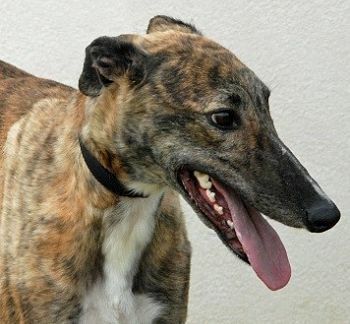 Cash donations are always welcome, and 100% of all donations support the ongoing needs of the greyhounds in GU's care. Please tell us if you have changed your contact information or your Dog’s name.